David Swick is associate director of the school of journalism at the University of King's College in Halifax. The veteran Conservative MP now in his first campaign as a Liberal is an unlikely rebel. Bill Casey is a mild, soft-spoken Nova Scotian who dislikes giving offence and gets along with just about everyone. Just now he is standing in a seniors apartment building in the quaint seaside village of Tatamagouche—on a clear day you can see Prince Edward Island—unsure what to do. One door has a sign reading No Solicitors. Does this, Casey wonders, apply to him? No, a handler says firmly. Casey has been driving her crazy all day. He spends too long at each door—sometimes more than ten minutes—and can be remarkably oblivious to prompts to keep moving. The problem is that he is thoroughly enjoying himself. He greets every door with an almost childlike enthusiasm, like they’re presents on Christmas morning. The handler presses the doorbell and the pair waits, then moves on. The handler rings the next doorbell and instantly a woman in a red shirt opens up. But her face is blank, noncommittal: Who are these strangers? “Oh! Pleased to meet you!” says Dolly. “You’ve got my vote. Scott Armstrong came here and I told him, ‘I’m not even voting for you—I’m voting for Bill Casey.’ You always worked hard for us when you were in office.” Like many people here, she is more a Casey voter than a party voter. Casey, chortling like a schoolboy, says, “I think you deserve a hug!” Dolly steps forward and they embrace. Some politicians on the doorstep have a lean and wolfish look; they appear to mainly want your vote. Casey relaxes in your doorway. In just a minute or three many voters relax back, appearing to sense that he genuinely cares about them, or likes them, or at least empathizes. On a surprising number of doorsteps some small emotional connection is made, each one an unexpected victory in our cynical age. Conservatives in Cumberland–Colchester, a sprawling rural riding in northern Nova Scotia, may be forgiven if they hear this and feel disheartened. This county has voted Conservative thirty-seven times since Confederation, and Liberal only eleven. Not only that, but Canada’s Economic Action Plan granted $29,000 to renovate this very apartment complex. Yet Casey—a turncoat whose only job before politics was running a car dealership—is a formidable foe. Perhaps voters sense that he is not in politics for the power. When at lunch an aide tells Casey that a new poll has the Liberals up two points nationally, he makes no reaction. Through a long day of campaigning he never mentions it. The Liberals winning power is not top of mind. He does not aspire to cabinet. At seventy, he would like to win this seat, but he lacks primal political ambition. The most rebellious thing about him is that he hates partisanship. This, of course, dismayed the tactician Stephen Harper. 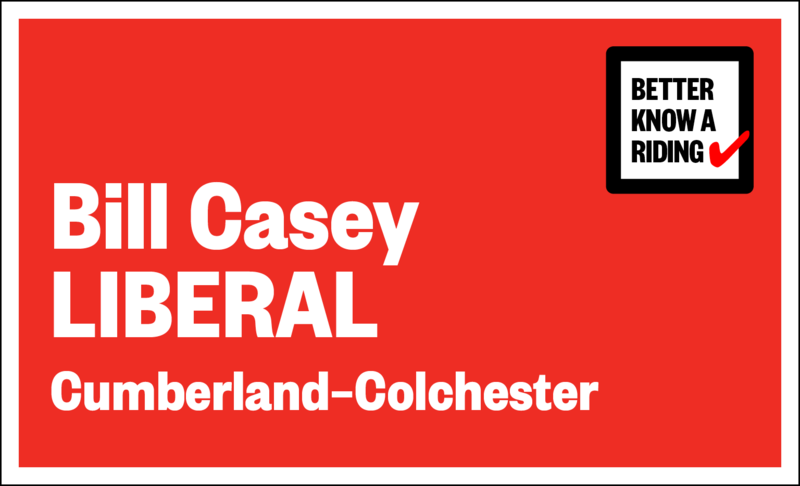 Casey won five elections as a Blue party standard bearer between 1988 and 2006, but voted against the 2007 Conservative budget, believing it broke the Atlantic Accord with Nova Scotia and Newfoundland and Labrador. Turfed by the party Casey ran as an independent, winning this riding with 69 percent of the vote. Then: cancer and a decision to step aside. His campaign manager, Scott Armstrong, stepped up. “Pardon?” Whispering together they sound like co-conspirators. The people of this riding, who can claim four fathers of Confederation but diminishing power since, do not expect outsized influence in Ottawa. They will be content with someone decent and kind and reasonable: someone like them. Casey is handy with a phrase, but does not have enough charisma to make anyone suspicious. He is smart, but not intellectual enough to turn anyone off. Going door-to-door he holds himself not like a government minister but like a minister of the cloth. The voters he talks to longest are the ones who need the most attention. The government cut my pension; the government stole my farm; my house had an accidental oil spill. Casey is running for the same reason he likes being an MP—it gives him access to meet, and sometimes to help, salt of the earth people. This makes him feel good. His ideology holds this feeling to be sweeter than power.